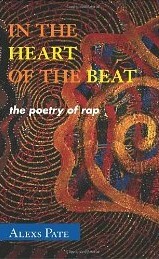 According to African American and African studies scholar Pate, rap is not just the emergent African American literary form of the postmodern age, but is responsible for scores of young people improbably embracing all the traditional and nontraditional poetic conventions of the English language (through a mix of cultural osmosis, miming, and instinct). Though he isn’t quite able to justify a comparison between the phenomenon of rap and Gutenberg’s invention of moveable type, Pate presents a strong case for the artistic and cultural importance of rap, analyzing lyrics and artists from multiple angles. Sizing up classic literary works from stalwarts like Langston Hughes, Maya Angelou and others alongside stanzas from rap songs, Pate finds eerie similarities in tone, message and style. He also contrasts the work of contemporaries within the genre, such as the straightforward pop of Young MC against the politically strident work of Public Enemy, examining rap’s ability to offer a visceral, vital take on society-and to dive headfirst into society’s most extreme indulgences.